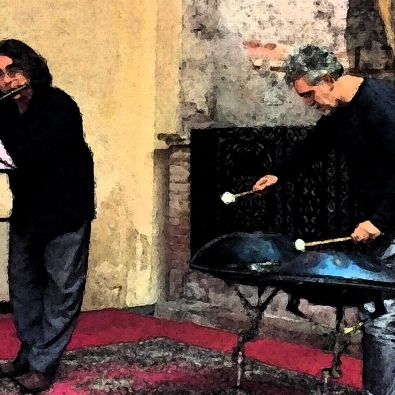 PEREGRINANDI, a new musical project performed by Andrea Ceccomori (flute) and Marco Testoni (caisa drum and percussions), is inspired to a spiritual research through the walking and all soul journeys: from Way of St. James to Via Francigena. To explain the style of Cammini Ceccomori has coined the term “suono povero” (plain sound) to define an essential and naked music. An eccentric interplay of sounds, the magic of the caisa drum creates a sophisticated and versatile drawing which interacts with the intense and refined melodies of the flute. 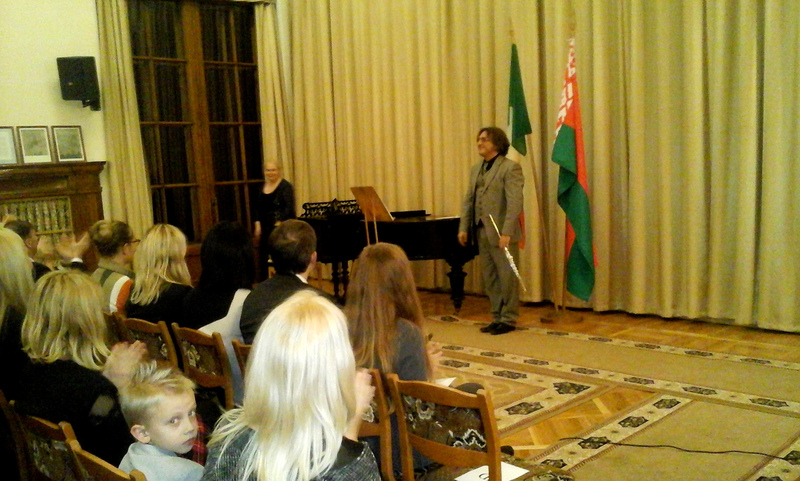 Flutist. His music has many influences from classic to new contemporary music, minimalism electronic and sperimental. Ceccomori has recorded for many labels performing works of composers as: Bach, Telemann, Debussy, Scelsi, Reich, Gorecki. He is dedicate to new music repertoire and collaborates with contemporary artists throughout the world. 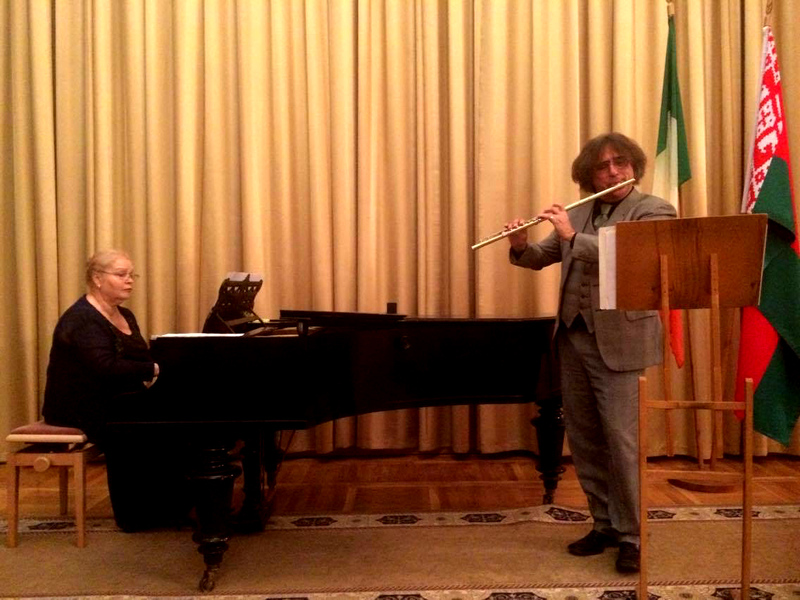 Ceccomori has inspired many works for flute of wich he has given world premieres. He has performed in Europe, Canada, Unied States, South America, Africa. Cd’s are published in his name, and he also appears in collaborative recordings, solo recordings, television and radio broadcasts. Ceccomori regularly gives masterclasses and his articles are published in newspaper and magazines such us Amadeus, Falaut, Syrinx, Raitrade, ISCM and Cemat both supporting Ceccomori’effort in the dissemination, of contemporary music. 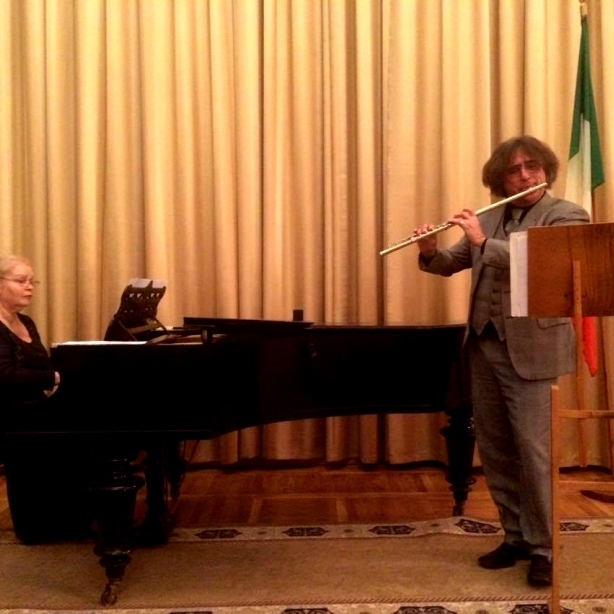 Andrea Ceccomori is the artistic director of Assisi Suono Sacro – the international Festival focused on music and spirituality – and he is founder-member of the “Assisi Musiche Ensemble”. Marco Testoni is an unusual percussionist, composer and music supervisor, whose latest solo album Impatiens featured the collaboration of Billy Cobham. With the striking and evocative sound of his set of Caisa drums (new generation metallophones belonging to the same family as the more famous Caribbean steel drums) Marco Testoni has once again brought out the capacity of percussion to fully express a “lyricism of rhythm”, which represents the artistic essence and manifesto of his musical style. In 2010 he founded the Pollock Project, a visionary ensemble built on the force of the intuition and the aesthetics of Art-Jazz which is able to conceive of a “visual music” with intense colours and surrealist references, so that the live act is intertwined with the visual arts and video mashups. Marco Testoni has wrote songs for the likes of Antonella Ruggiero, Tosca, Paola Turci and Edoardo De Angelis. From 1987 he worked as media and film composer or music consultant closely with directors (Guy Shelmerdine, Alessandro De Robilant, Luca Miniero, Paolo Genovese, Stefano Reali, Manuel Zarpellon, Francesco Vicario, Paolo Costella) producers and editors. Marco Testoni’s score for BlackOut won the award for Best Original Song for an Italian Film of the Premio Colonne Sonore 2014.